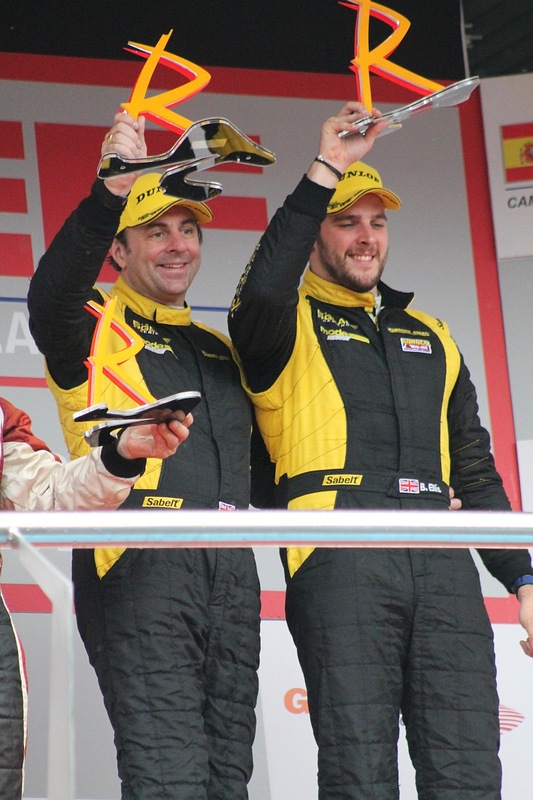 Meriden’s Andy Cummings and co-driver Bradley Ellis began the defence of their Radical SR3 European Masters title with three magnificent wins out three at Jerez last weekend. Bradley qualified the car in the first wet session and was fantastic second overall against much more powerful machinery. “The wet tyres were OK and our car went very well, but I knew that the track would be dry enough for Andy to change to slicks for the second session,” he explained. Andy was second in class in his session but had to wait until the second half to push on when he had enough heat in his tyres. “It was getting quicker and quicker and was almost totally dry by the end. I just nursed at first and gave me time to settle in,” said Andy. 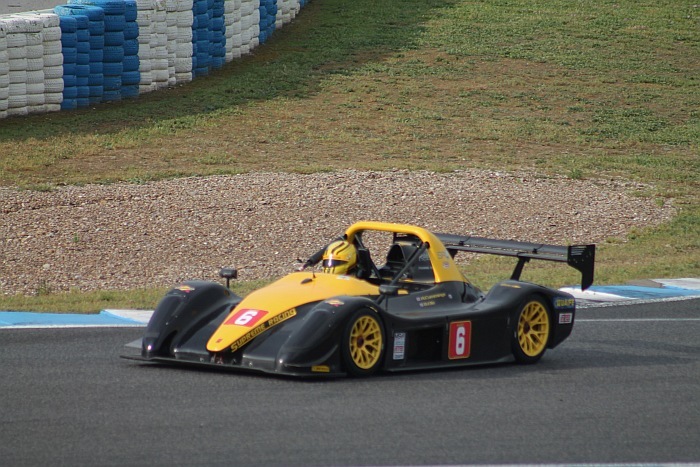 The track was completely dry for Saturday’s opening race, and with Andy starting he was well aware of the faster cars around him as he lined up on the front row, being careful not to lose focus of his class victory aim. “I decided to let five of the quick ones go at the start, no point in racing the other class,” he said. 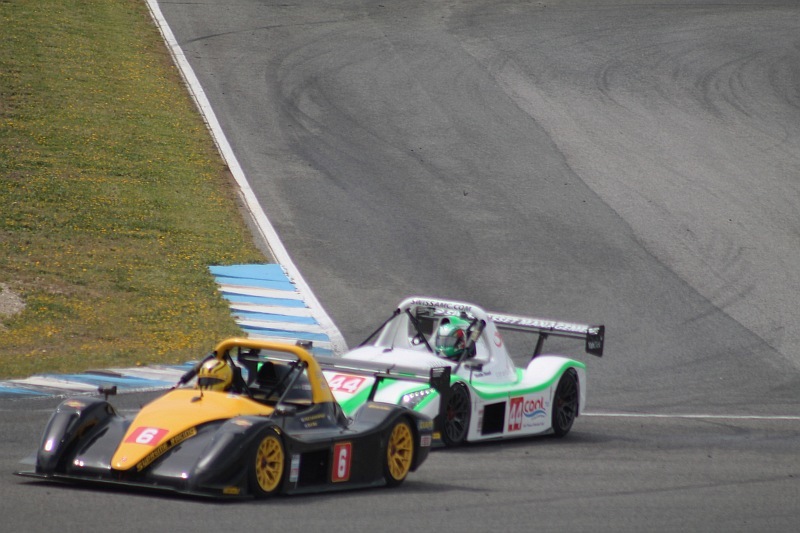 He had a comfortable lead in the SR3 class but by lap five Nouri, his closest rival, had begun to close, while third in class Marateotto was able to close in too as their duel intensified. Andy continued to fend off his rival pair until the 10th lap, when after a hit in the rear from Marateotto, he was outbraked into the final turn. “The car was as quick as it’s ever been and my aim was to keep in contention during my stint,” he added, which he did. 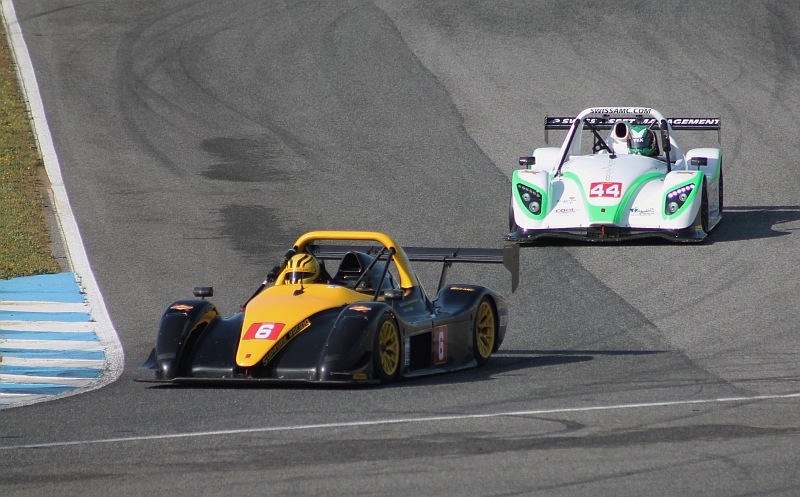 With the Marateotto car in trouble from the start, Andy only had to concentrate on Nouri in the second race. He led from the start but was hampered in consolidating his lead by a slow SR8, which could outrun him on the straights. ”I got the gap and was then held up for so long, so I just kept my head down and did what I had to,” he said. 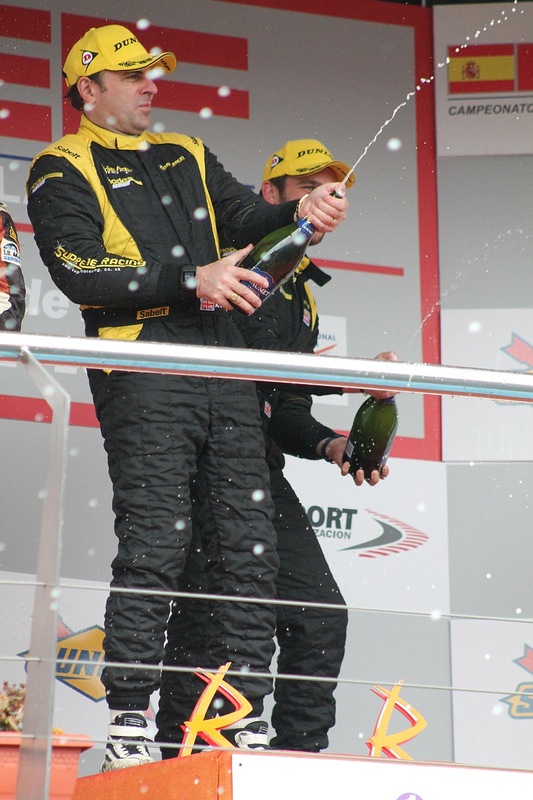 Although Andy pitted in the lead, their race one victory gave them a longer compulsory stop. 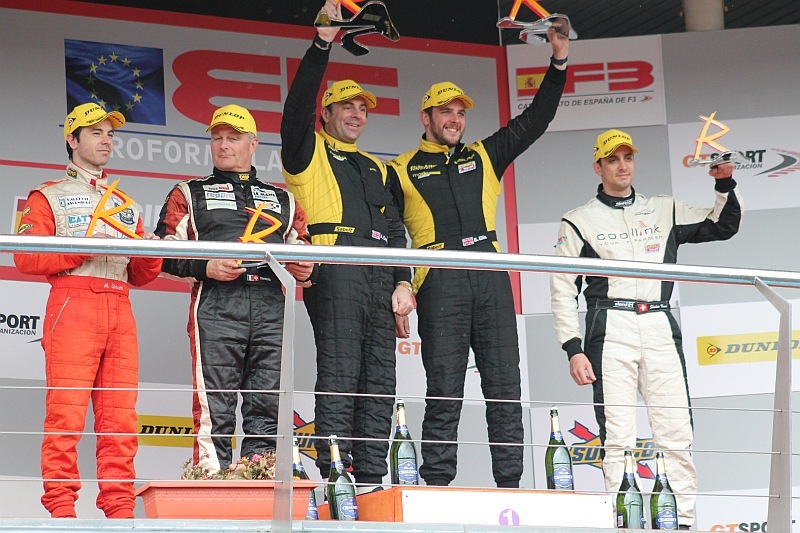 Bradley still had the lead after Nouri made his stop and continued to keep him at bay for win number two. “He only got ahead as we had to have a longer stop,” Bradley confirmed. The third race couldn’t have started worse, when Andy spun at Turn 8. “I think there was oil or something down, I stalled and we had starter motor problem, so took a while to get going again,” he explained. Restarting last a safety car intervention brought him back onto Schroeder’s tail and he pitted second in class. Bradley still had a lot to do when he took over for his final stint of the weekend. But having more than halved Nouri’s lead, he was looking forward to a fight to the flag. “We were robbed though, when Nouri got a drive through penalty and it handed us the lead, I wanted to race him for it,” he said. But three wins puts them firmly at the head of championship, with the next round at Dijon in three weeks.